“Charlie, whoever you are, take that stick, banger, or whatever you used to write on these beautiful corals, and shove it up your…” writes Vince Tenchavez, divemaster and founder of a local divers organization, on Facebook. Who hurt Tenchavez, you ask? A Charlie who just attempted to murder two corals sitting beside each other, colonies of thousands of living organisms, exposing them to various threats. During the International Coastal and Underwater Clean Up Day last Sep. 22 and 23, Tenchavez was picking up garbage in the house reef of Bauan Divers Sanctuary (BDS) in Batangas when he saw two corals with “Charlie” and “2018” inscribed on them. It was around 40 ft deep. He took pictures and reported what he saw to the resort manager and BDS staff. “Can’t believe a scuba diver has that low of an EQ and absence of concern for marine life to do this,” Tenchavez writes. Corals take decades to centuries to grow. They’re fragile species—sensitive to stress that can lead to sickness, and eventually, death. Touching or stepping on them can end their life. “All the more if the corals were damaged like the one Charlie did,” Tenchavez says to Nolisoli.ph. 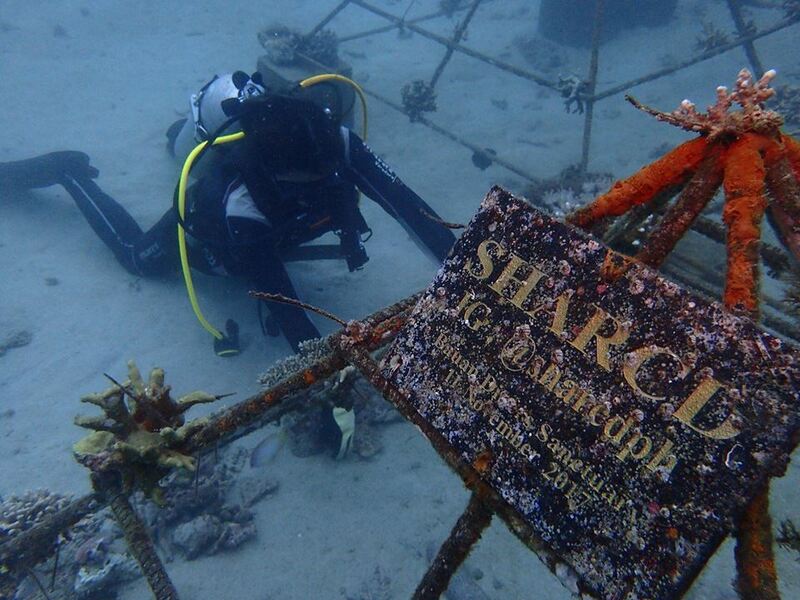 According to the divemaster, Charlie used a tank banger, a rod used by divers, to write on the corals. “I talked with a marine biologist the other day. He said there’s a chance that the whole coral will die. If it recovers, it might take years. But the parts that were damaged or written on looks like [irreparable] anymore,” Tenchavez says. Tenchavez’s group called Scuba Hobby and Recreation Company of Divers (SHARCD) has been teaming up with BDS and now has done two major projects with the sanctuary aside from the regular cleanup dives. 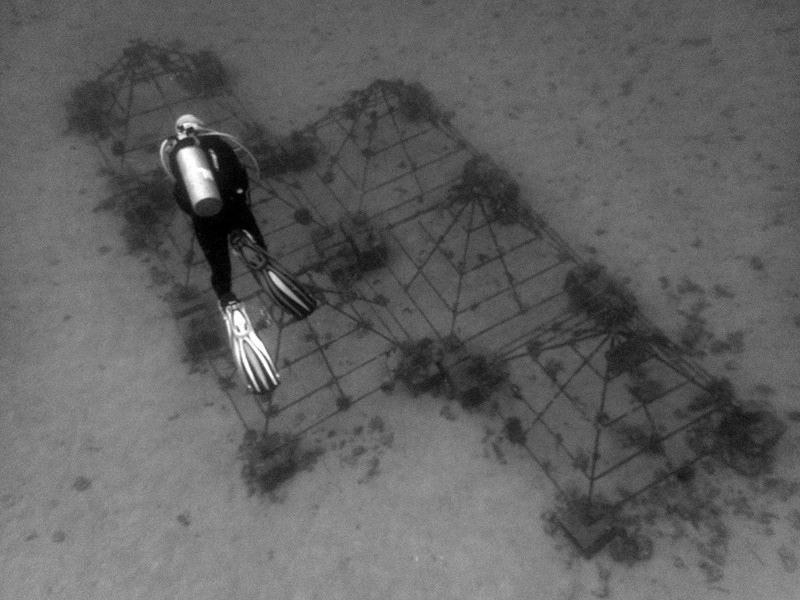 They have deployed two coral propagation structures. They’re now checking guest lists of nearby dive resorts to look for Charlie and monitoring updates on social media. “We immediately checked the guest list of BDS, [there was no one named Charlie]. Must have been a diver from another resort doing a boat dive at the house reef of BDS,” Tenchavez says. “We are still trying to find out who he is but it’s really difficult. If Charlie posted his ‘masterpiece’ on social media, someone should have noticed by now. But as of [writing], there’s still no report,” Tenchavez says.